Let’s not sugarcoat this. Moving house is stressful! It’s a change in life, a transition, venturing into unfamiliar territory, and it can cause a lot of anxiety. Preparation and planning are key, so we’ve put together a handy guide to help you get ready for the big day. Remove all items from the basement, storage sheds, attics, and plan a garage sale or charity donation for all items you don’t want to move. Use things that you can’t move, like cleaning supplies and perishables. Discuss tax-related moving expenses, liabilities, and deductions with your tax advisor or accountant. Make a list of all people/organizations to contact about the change of address. Arrange for Canada Post to forward your mail. Get copies of (or arrange for transfer at both ends of the move) all school, medical, dental, veterinary, legal, and accounting records. Contact insurance agents to transfer or cancel coverage. If you are selling your home, cancel your insurance after the transfer of title is complete. If it’s a company/employment related move, check with your employer to find out what moving expenses they cover. 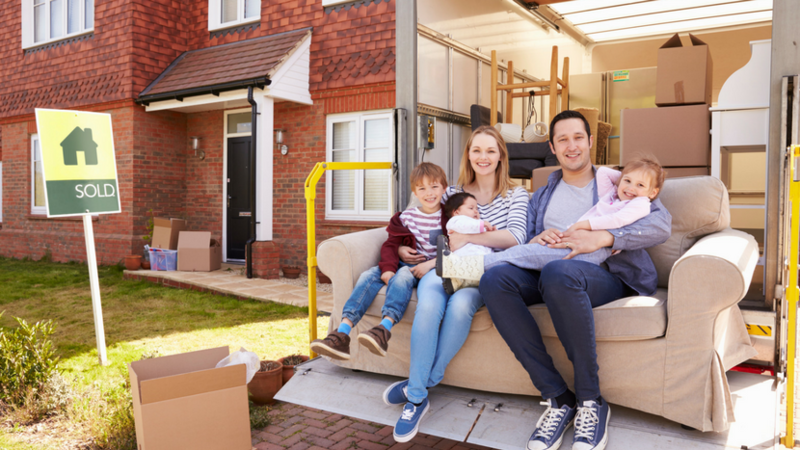 Get an itemized list of all moving related costs and review with the removalist, including packing, loading, special charges, insurance, vehicles (if needed). Contact all current and new location utility companies (gas, water, electric, cable TV, phone, and trash collection) to arrange connect/disconnect dates. Remember to keep current utilities hooked up until move day. Move valuables to safe deposit box to prevent loss during the move. If you are packing yourself, acquire packing materials and boxes and pack items you won’t need for the next month. If a professional mover is packing your goods, schedule packing days one or two days before the move. Make travel arrangements for the family for moving trip. Allow for unexpected delays and cash needs that often occur in moves and house closings. Collect all important papers (insurance, will, deeds, stocks). Arrange to close or transfer all local bank accounts and open a new one in new location. Prepare car for the trip to new home. Check tires and have vehicles serviced. Terminate newspaper and other delivery services at the old address. Contact your moving company to review and confirm all arrangements for your move. Withdraw contents of any safe deposit boxes, return library books and rental videotapes, and pick up any dry cleaning. Make plans for care of small children and pets on moving day. Pack a box of items you will need immediately upon arrival at your new home and have movers put this box on last. Clearly mark the box as PACK THIS LAST or UNPACK THIS FIRST or take it with you. Have appliances disconnected and prepared for the move. Arrange to have utilities turned on at your new home. Notify friends and neighbours of your new address and phone number, if available. Fill any necessary prescriptions, medication needed for the next two weeks. Plan on spending the entire day the house with movers. Don’t leave until movers have gone. Review carefully and sign the bill of lading and inventory, and keep your copy in a safe place until all charges have been paid and all claims have been settled. Make final walk-through of the house, including basement, attic, and closets, to make sure it’s empty. Lock all windows and doors, and drop off keys with your REALTOR®, neighbour or new owner. Did we miss anything? Email us today! Greg has been in the real estate industry since 2012 and joined The Velve Group in 2015.